The Transitional Government and United Nations (UN) agencies came together in Mbaïki, 95 km southwest of the capital, Bangui, for the official launch of the 2014/15 agricultural campaign in the Central African Republic. 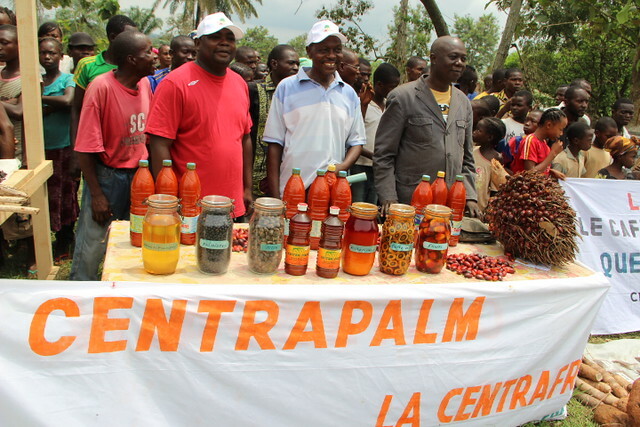 Held prior to the approval of the next emergency project in response to the food crisis in the Central African Republic, the ceremony mobilized hundreds of people, including agricultural groups that displayed various local products, in a festive atmosphere. Two-hundred vulnerable people identified by the World Food Programme (WFP) have been provided with food rations covering a period of 15 days. These beneficiaries also benefited from support by the Food and Agriculture Organization of the United Nations (FAO) through the distribution of agricultural kits, composed of seeds and small tools, in order to resume their agricultural activities. The objective is to ensure that the seeds distributed are not used for consumption (given the lack of food), but are quickly planted before the next rainy season (April) to secure the harvest in the country. “The agriculture sector employs 76 percent of the total population, contributing to 52 percent of the gross domestic product and 42 percent of exports. There are 15 million ha of arable land, however only 800 000 ha (5.3 percent) is cultivated”, said the UN Deputy Special Representative and Resident Coordinator a.i, Georg Charpentier, emphasizing the need to support the recovery of the agriculture sector – the strength of the country’s economy. Currently, 2.5 million Central Africans need immediate humanitarian assistance, and one in five is internally displaced. To resume agricultural activities in response to the food crisis in the Central African Republic, the project plans to address both the immediate needs of vulnerable populations affected by the crisis, as well as help strengthen their resilience. The project has been funded by the World Bank with a total contribution of USD 20 million, and will be jointly implemented by FAO and WFP. Ultimately, the project will reach 76 000 households through the distribution of seeds and agricultural tools, which are essential for the upcoming agricultural campaign. The official launch of the 2014/15 agricultural campaign has mobilized five Government members. The ceremony was chaired by the Minister of State for Rural Development, Marie-Noëlle Koyara, on behalf of the Prime Minister, Head of Government of Transition, André Nzapayeke. It was also attended by the UN Deputy Special Representative and Resident Coordinator a.i., Georg Charpentier, heads of UN agencies, diplomats and journalists.